← IRT Desert Oasis Intensive Is Right Around The Corner!!! Okay I am always, always looking for new material on the Martial Sciences that I have not seen before. Whether in video or written format. I take a very serious approach to seeing how other martial practitioners move and execute their Martial Science. Recently I came across a video by Chris Derbaum and so I decided to order his book. Look for a review in the near future. Cool, I research MA all the time, but I the majority of it is about Chinese Martial Arts. found some old translations about xingyi I have my eye on as well as the Wu family book on taijiquan. Absolutely Tim. 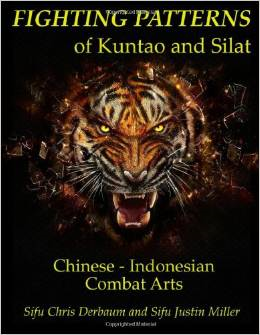 Definitely I feel it enhances my training and broadens my perspective on the Martial Sciences.